“Everyone relishes a migraine. They have a literal aura! Migraines foster the sort of pure narcissism that only intense, essentially benign pain can. We sufferers (that’s how it’s described, “migraine sufferer”) feel it is meet and right that the migraine should be dramatized in films like Pi or White Heat; this strengthens the perception that migraines are the hallmark of geniuses, or at least psychopaths. This excerpt from an article called Head Case appeared on the Paris Review’s blog. The first reading left me furious, but I thought I must have misunderstood the post. I read it repeatedly, trying to identify the satirical angle. I sent it to Hart to see if I’d missed something. Because the Paris Review wouldn’t publish something so trivializing of a disease that can be disabling. Right? Wrong! My first reflections on Head Case overflowed with expletives and name-calling. That’s not my style, so I set the topic aside to revisit. Here’s what I came up with. Writers write what they know. 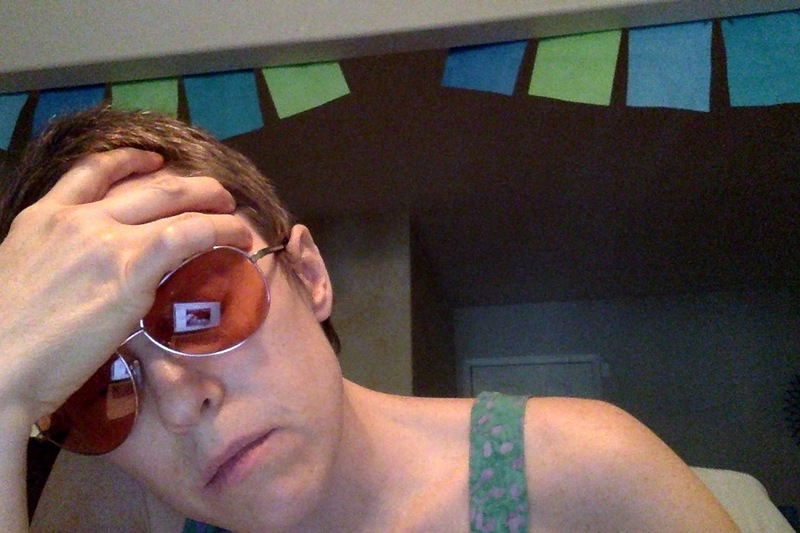 The writer includes herself among the “sufferers,” so I can only assume she’s writing about herself—that she relishes the attention she gets from migraine, that she thinks her pain is the worst in the world. Instead of owning her feelings, she projects them onto everyone who has migraine. Of she does. It’s far easier to claim everyone with migraine has such nasty thoughts than to admit that you alone are being a jerk. 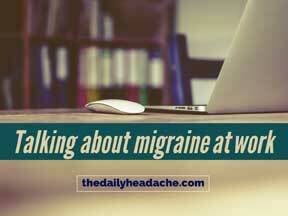 Some people probably do relish the attention they receive when talking about migraine. Some do engage in one-upmanship (though I’ve only witnessed this on the internet, never in person). But these represent a tiny slice of people who have migraine. Most of us are nothing like this. Most don’t share our stories to get attention or prove our “genius.” We share our stories to show how incredibly difficult this disease can be to live with. We share our stories because so few people understand how disabling migraine can be. I wrote those words almost exactly 10 years after migraine rendered me unable to work and eight years after I started this blog. I didn’t apply migraine stigma to anyone else, only to myself—and did so for years after I knew intellectually it wasn’t true. I have finally shed that internalized stigma, but cannot forget how how fervently I once believed it. After my initial draft of nastiness, I began to pity a person who would publish such hateful things about herself. I’m still angry and find her pitiful, but it is tinged with compassion and sadness. I feel for someone who turns on herself because she has internalized this stigma. I’m sad that so many of us have done just this. But my empathy only goes so far. I cannot forgive someone for furthering that stigma by publishing such vitriol on the website of a revered literary journal. Pressure is mounting for pharmaceutical companies to disclose drug development costs, profits for specific medications, and how prices are set, according to the New York Times article. It’s coming from a wide range of sources: doctors, patients, patient organizations, state and federal politicians, the U.A.W. Retiree Medical Benefits Trust, and even Bill Clinton. At least six states have introduced bills in the last year to require drug companies to justify pricing. More than 100 prominent oncologists call for a grassroots movement to stop the rapid price increases of cancer drugs in an article that will be published in the journal Mayo Clinic Proceedings tomorrow. “There is no relief in sight because drug companies keep challenging the market with even higher prices. This raises the question of whether current pricing of cancer drugs is based on reasonable expectation of return on investment or whether it is based on what prices the market can bear,” they wrote. Although the focus is cancer drugs, these problems apply to all prescription drugs. Unsurprisingly, pharmaceutical and biotech companies are balking. You’ve heard the explanations: research and development is expensive, something has to cover the cost of all the drugs that don’t make it to market, and drugs can lower health care spending in other areas. That’s not the whole story, of course. This anonymous comment from the director of a multiple sclerosis drug developer is telling: “We all look at each other and keep pace with each other. Honestly, there is no science to it.” There’s also the fact that Medicare is legally barred from negotiating drug prices—they must pay whatever drug companies charge. I’m probably more sympathetic to pharmaceutical companies than many patients are. 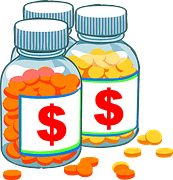 Drug development is expensive and some drugs have a narrow market limited by a small number of patients with a disease. Publicly traded companies have to earn profits. And yet. How much of pricing is determined by the fact that the person recommending the drug and the one taking the drug usually don’t even know how much it costs? How much of it is price gouging simply for the sake that it can be done? This article only addresses brand name prescription drugs; generic drug prices are also ridiculously high (and rising). The media has been covering high prescription drug prices with increasing alarm over the last few years. This coverage and awareness-raising are critical first steps, but what do we do next? How can patients fight back? We can sign this petition, which is focused on cancer drugs, and email our state and federal representatives. But what else? I want to DO something, not wait for lawmakers to maybe, hopefully fix the problem. Boycotting the drugs feels like our only potential source of power. Even the most principled of us are unlikely to forgo medication we need to function or live to make a point. I feel trapped and powerless… which, for pharmaceutical companies, is the perfect place for patients to be.